Squeeze in a heart-pumping workout before work or on your way home in an encouraging atmosphere that’ll make you want to stick with the program. CrossFit is known for its challenging WODs that build muscle through squats, pull ups, rowing, and other moves that the coaches guide you through. 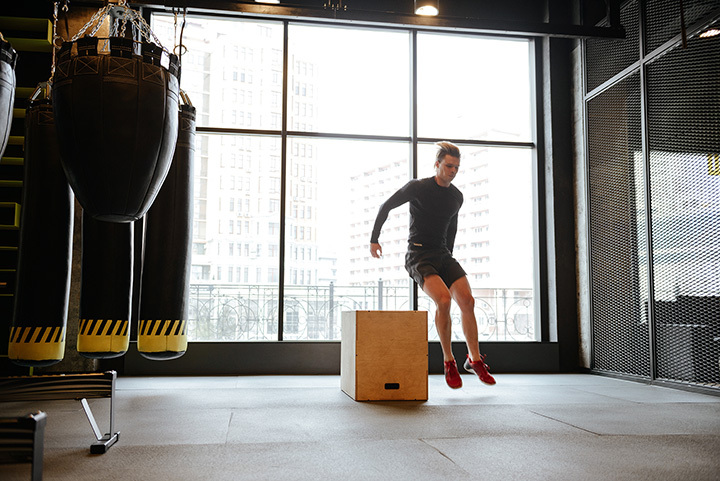 What’s more, these excellent CrossFit gyms in Connecticut also have ways for children and teens to get involved, stay active, and build healthy routines. Located just before the CT-RI state line, CrossFit Stonington serves CrossFitters from both states. CrossFit Stonington offers excellent WODs that can even be found online, if you’d like to practice at home when you can’t make a class. Every Monday and Saturday, CrossFit Stonington offers kids and teens classes that focus on age appropriate skills and aims to help kids have a healthy, active lifestyle. Other daily classes are available for group WOD and open gym times. Join the supportive community at Midcoast CrossFit, which will help to motivate you in your CrossFit practice. The coaches are trained to teach CrossFit students who are anywhere from just starting out to advanced students, helping everyone to reach their fitness goals. Practice your WODs in an encouraging environment and you might even be celebrated as an athlete of the month. Located along the scenic Niantic coastline, CrossFit Good Fortune creates workouts for every fitness level, so as to encourage and challenge all participants. Kids can join their parents for Saturday morning CrossFit classes that feature games and challenges. This is a great bonding activity for parents and children seeking to improve their fitness level as a whole family. Numerous adult’s only classes are also available and there are also open gym hours. Build muscle while you burn fat with the challenging but safe classes at CrossFit Brickyard. Those just starting CrossFit are encouraged to join the CrossFit Foundations classes, which help students to learn the different exercises and avoid incorrect movements to prevent injury. Numerous classes featuring different WODs are offered weekly and students can even sign up for classes online. CrossFit Unlimited Potential is an excellent gym for busy parents to join, as it has a designated children’s area, so kids can hangout while parents work out. Numerous classes are scheduled daily, ranging from early morning until the evening, and classes for teens looking to strength train are also available. In addition, first time visitors can test out the gym with a free trial class. See the results of your hard work at New Milford CrossFit, which offers a fun environment to get fit. The schedule features classes beginning at 6 a.m.—to squeeze in before work—with the last adult class of the day at 6:30 p.m., to fit in on your way home from work. Monday through Friday evenings, a teen sports class is also offered to keep high schoolers active. New students can jump into CrossFit courses here with the On-ramp Program. During these beginning classes, students will work one-on-one with a trained coach to learn the moves and skills necessary to join a regular class. Practice burpees, rowing, and jump roping in the numerous other classes with daily WODs. Head to the bright box at CrossFit Reload, which is set in a redesigned factory building. Grab a dumb bell to make your WOD more challenging. A free trial class is offered to new students to ensure that you find the right box before signing up. Additionally, CrossFit Reload offers Olympic lift, open gym, and yoga classes. In addition to the regular schedule of CrossFit classes, Yankee CrossFit also offers excellent events such as their recent Girls’ Night Out in which women could enjoy strength training workshops and shopping from fitness brands. The friendly coaches make all people working out feel welcome, and the facilities are well-maintained. CrossFit Thin Blue Line focuses on people coming together to work together. This is why the class atmosphere at CrossFit Thin Blue Line is super friendly, making it perfect for those who need a bit of extra encouragement to stay motivated to work out. New visitors can try a free class, and a variety of classes are offered weekly.